I purchased a new 2018 car to replace my 2017 car that was written off due to an accident. I returned to Crown Mazda as I had such a great experience when I bought my 2017. I was looking at getting a replacement vehicle similar to my 2017 and at a specific price. The sales person (Wes) ensured that happened. Everyone at the dealership including the sales staff, finance manager, and general manager were so courteous and friendly. They treated me like family with no pressure to purchase. Thank you for a second great experience. Thank you for your review Heather! We are sorry you had experienced the loss of your car, but we are happy to hear you had a great experience with Wes and the team! We hope you enjoy driving your new Mazda! Everyone at this dealership is very open and willing to help you with anything you need. Always a pleasant experience when I bring my car in to the shop. Thank you for your kind words Devin! We appreciate you taking the time to leave a review and look forward to seeing you (and your car) during your next visit! Service personnel are polite and courteous. Explained what needs to be done in full detail and how much it will cost. Thanks for the awesome review Ricardo! 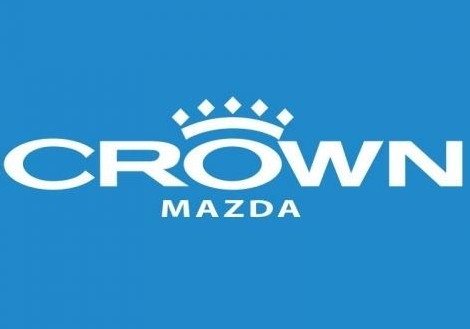 We are glad to hear you had a fantastic experience with our CROWN Mazda family! Probably the only dealership that I have dealt with that provides honest service and does not pressure you. Thanks guys! Thank you for your review Enisty! We are proud to make car ownership easy and are glad to hear you've experienced this with our CROWN Mazda family. Please let us know if there is anything else we can assist you with! We apologize for not meeting your expectations. Our service manager will be calling you shortly to better understand the situation. 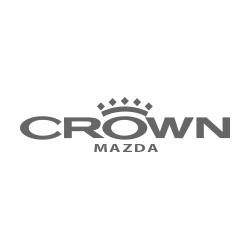 Thank you for your patronage at CROWN Mazda.